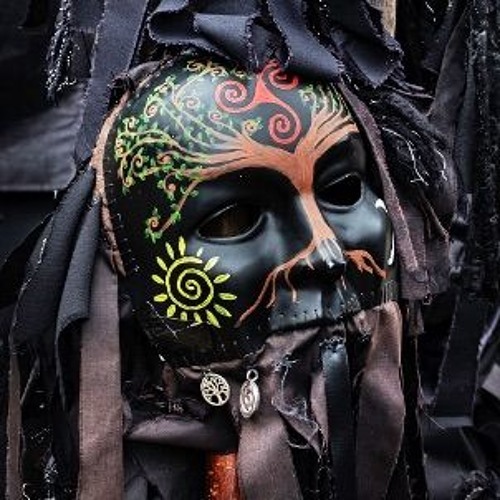 A warmup mix for the Wimborne Folk Festival 2019 showcasing a diverse selection of folk music from around the world. 1	Simon Haseley - Hammerhead 2	We Banjo 3 - The Bunch of Green Rushes / Salt Creek 3	Darrell Webb & Mashville Brigade - Two Dollar Bill 4	Tomas O'Canainn - The Blackbird 5	Trasnú - The Box of Jigs 6	Friends	- The Dublin Reel / The Reconciliation Reel 7	Tinsley Ellis - Side Tracked 8	Kareyce Fotso - Youmbata 9	Les Ya Toupas Du Zaire	- Je Ne Bois Pas Beaucoup 10	Calypso Rose - Rum & Coca Cola 11	Mighty Shadow - Dat Soca Boat 12	Prince Fatty - Shimmy Shimmy Ya (feat. Horseman) 13	Locomondo - Rembetiskank # 9 (feat. Natty Bo) 14	Cultura Profetica - Ritmo Que Pesa 15	RICO - No Politician 16	Sam And the Want - Ice Cream Man 17	Tuff Powa - Outlaw Music (feat Kinetical - Bukkha remix) 18	ALBOROSIE - Real Story 19	Alpha Blondy - Wari (feat. Saïan Supa Crew) 20	Aniceto Molina - La Cumbia Rebajá 21	Eddie Palmieri - Ay Que Rico 22	Quantic Y Su Conjunto Los Miticos Del Ritmo - Get UR Freak On 23	Locomondo - Kritiki Cumbia (Instrumental) 24	Radio Babel Marseille - Amor 25	Roy Paci & Roy Paci & Aretuska	- U Mercatu (Remastered) 26	DALINDEO - Slavic Souls 27	Fanfare Ciocărlia - Duj Duj (featuring Mitsou - Hungary & Florentina Sandu) 28	DALINDEO - Karhupuiston Kuningatar / Queen Of Bear Park 29	The Gourds	Gin and Juice 30	Oasis	The Swamp Song 31	The Scottish Lion 78th Fraser Highlanders Pipe Band	Medley: Leaving Ayrshire - The Calrossie Cattlewife - John Cairns' Double.